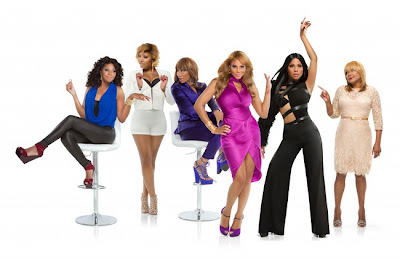 Tamar, Toni, Towanda, Trina & Traci Braxton are back this March for Season 3 of Braxton Family Values.' Yay! Love this show. Season 3 which premieres March 14 begins in Rome, Italy together, but no Tamar! Urghh she's my fave. Back in the US Tamar was busy with her reality show 'Tamar & Vince,' and promoting her new hit single Love & War which went straight on my iPod - I can't even wait for her album or contain the excitement - it's gonna be so bomb. Check out a teaser of what to expect this March, below.